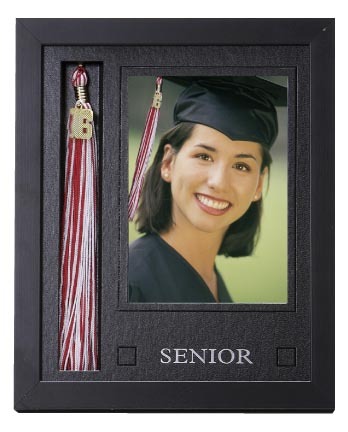 Select from our tassel frame in rich black wood that hold either an 8x10 or 5x7 photo. 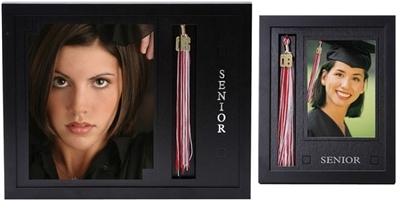 • Each frame includes a mat and a space for a ceremony tassel, a photo and SENIOR foil stamped into the mat. 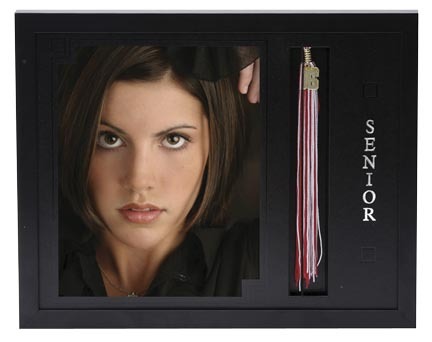 • All frames have a plexiglass cover and a swing out easel back to easily stand on any surface.